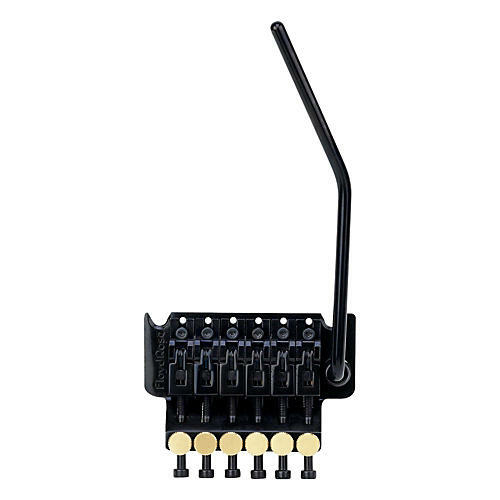 Taken from the original design specs of 1984, Floyd Rose has put together the "1984" tremolo system that recaptures the vibe and excitement from that era. The "1984" system is a true-to-the-original reissue with brass fine tuners, old style housing and locked in swing arm, bridge mounting wood screws, and a fat solid brass block for incredible tone and sustain. This kit contains the bridge, R2 locking nut, springs and claw, mounting studs, and all hardware necessary for installation.